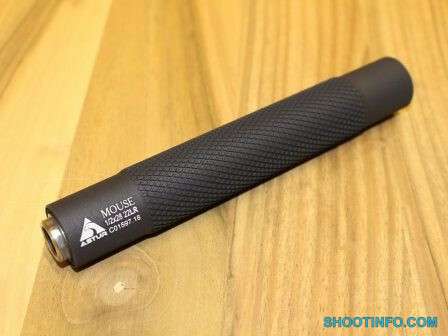 ASTUR MOUSE is lightweight, compact and effective silencer for pistols and rifles in .22LR, 5,6mm with thread 1/2х28 TPI (CZ 512 Tactical, Defiance DMK22C, Kel Tec 22lr, Marlin XT-22RZ, Remington 597 AAC-SD, Ruger 10/22, Ruger American Rimfire, Ruger SR-22 RDS, Savage 64 FV-SR, Savage B22 FV-SR, Savage Mark II FV-SR and others). The new device has significantly reduced size and weight, but keeping perfect performance and noise reduction level. 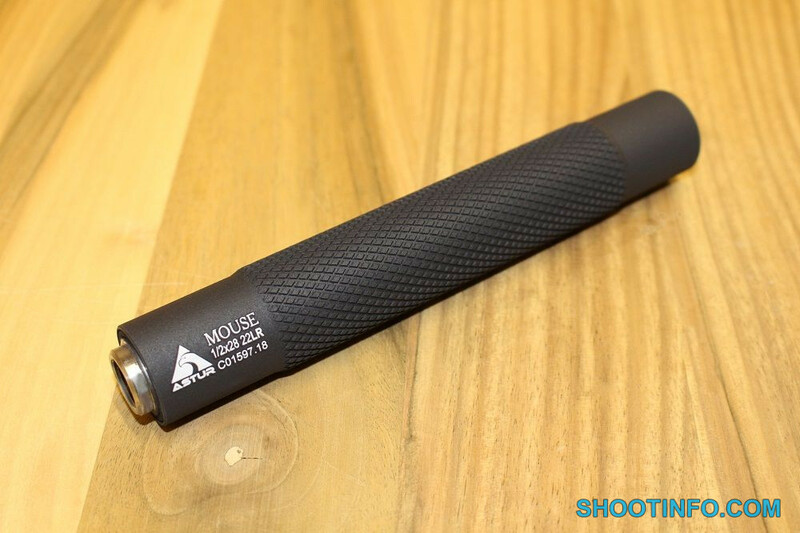 Compact size of ASTUR MOUSE increases maneuverability, usage reliability and does not violate the balance of rifle. The noise reduction level of ASTUR MOUSE suppressor is up to 26dB – 29dB. That allows almost completely muffle the sound of a shot. 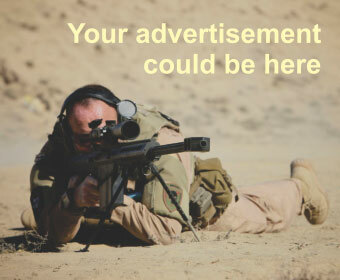 Also use of our silencer allows to completely hide muzzle flash. and is not intended for use in full-auto mode. It is perfect for single firing mode (even very fast single firing). 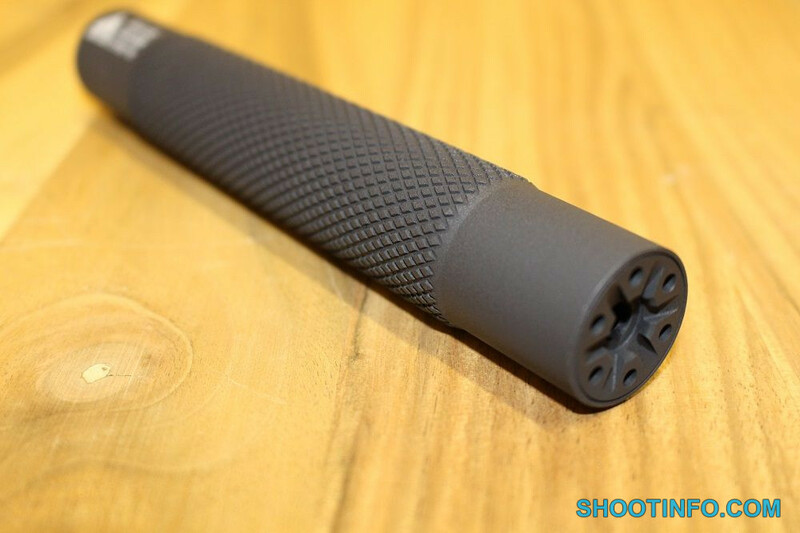 Suppressor does not affect the accuracy of the carbine and makes the shooting comfortable. High-quality materials, careful processing of all parts of the device, and durable coating will ensure its reliable operation for a long time. We provide one year (or 2000 shots) guarantee for our products. Additionally, ASTUR MOUSE silencers are easily to disassemble using special key (included in package). So they may be serviced as necessary. The device does not require special maintenance. If needed it can be disassembled using special key and cleaned. We do not recommend to use aggressive cleaners. Neutral gun oil will be perfect. It is important to not allow moisture to accumulate inside. 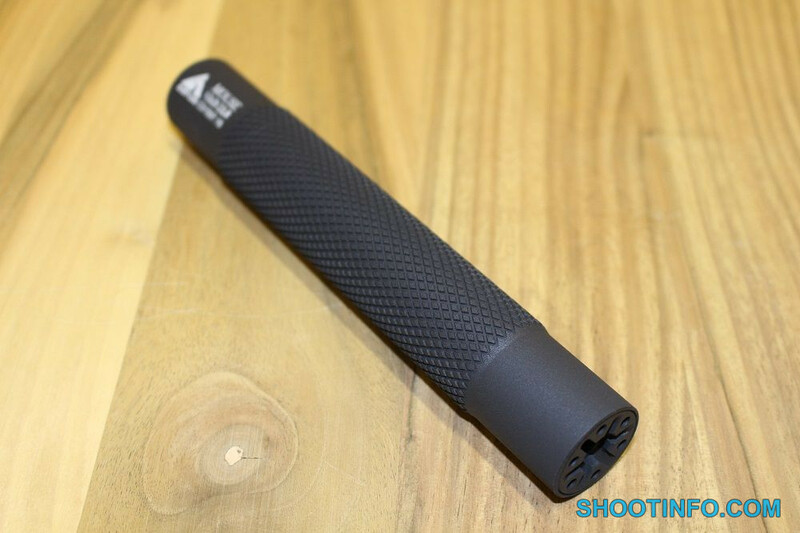 If you are using our suppressor when it is raining, in fog or sharp temperature changes, we recommend to dry it out. It can be purged with an air compressor, for example. 140g., length – 170mm., D – 30mm.